Santa Rosa Beach is located on the west end of Scenic Highway 30 A in South Walton Beach. If you want to get away from the crowds and are looking for something more laid-back in Santa Rosa Beach is a great spot to start. Santa Rosa Beach is home to numerous Coastal Dune Lakes. There are many small locally owned restaurants and stores that offer great shopping opportunities. 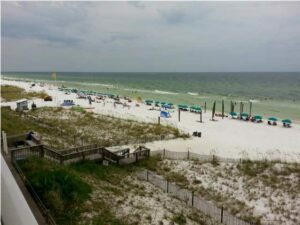 Santa Rosa Beach has everything from modest homes two beachfront condos and luxury beachfront homes. One of the big attractions in Santa Rosa Beach is Gulf Place. Here you can eat, shop and sometimes outdoor concert.